365. That is the number of times I’ve gone to sleep without you by my side. “If anything ever happened to you, I would die,” I once said to you. “No, you wouldn’t,” you responded, with a certainty that I found mildly irritating at the time. And you were right. Because the strangest part of having my worst nightmare come true is that I have had to keep on living. Sometimes I don’t want to, if I’m being honest. But I do. If someone had told me that I could survive even a day without you, I would never have believed them. But here I am. 365 days later. And then it all becomes a blur. “I can’t do this. I don’t want to do this.” I whispered in my broken voice, over and over and over again. “Breathe, Jen. All you have to do right now is breathe,” another sweet friend coached. And for a while, that was all I was capable of doing. Just. Breathing. I didn’t cry right away. In the movies, people always wail uncontrollably. For me, the tears came later. It wasn’t until my mom arrived, that it all finally broke open. She remained faithfully by my side, sleeping next to me at night, for the weeks that followed. But in those initial moments, I was stunned. Just. Stunned. And raw. So, so raw. No one told me that I would cry so many tears that my eyes would literally chap. No one told me that I would gag on solid food for days on end. No one could tell me how to do any of this….because my grief for you is as unique as the love that we shared. Oddly, as I look back, the thing that now stands out to me about those first foggy weeks is the love. It’s an intensity of emotion that is difficult to articulate. Losing you somehow brought us all together. Walls came down. Edges were softened. I remember how grateful I was for every small act of kindness. Gary, on our front steps, holding flowers with giant tears in his eyes. The unending smorgasbord of food (really, really good food, I might add), often from complete strangers. Prayers. Hugs. 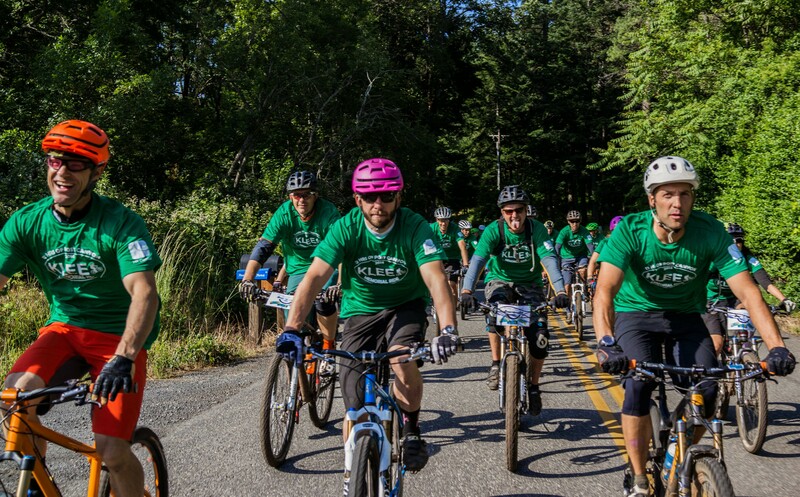 Community bike rides in your honor. There was overwhelming heartbreak, engulfed by a wave of unfathomable love. It was in those first days, when everything else was stripped away, that I truly understood that we are all here to help one another…and that love is indeed all that matters. Remember, Moosty, how you had to drag me away from Portland? Kicking and screaming. Reluctantly, I gave in to starting a new life, in a small town. We found our home and filled it with love and friends. And now I can’t imagine going through this anywhere else. Did you know? Did you know that you would leave so soon? I often wonder if you placed me in the cocoon of our small but mighty town, because you knew that they would take care of me in your absence. You would be so, so proud of them, Moosty. All of our friends – from near and far- have been my army, and have rallied in an inspirational way. Thank you for bringing me to this place that has become my sanctuary, and to this community that has become my family. There is so much love for you here. Do you feel it? I hope that you do. I don’t think you ever knew how much people loved and respected you. Your family and friends work hard to honor you every day. Your humble spirit would not be comfortable with all this adulation…but you are so worthy of it. 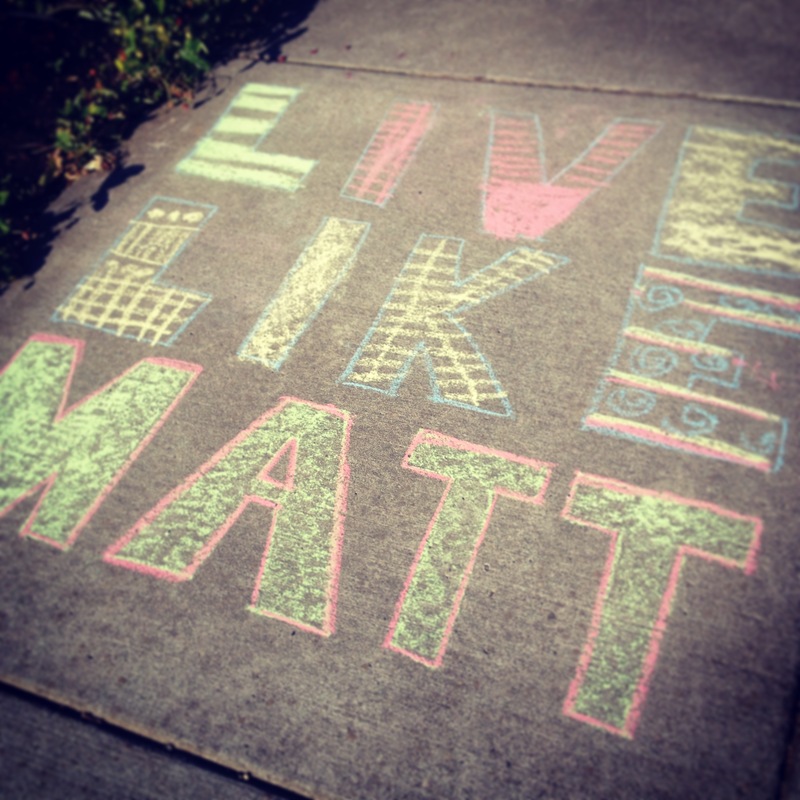 People who didn’t know you often ask about the “Live Like Matt” slogans that are all over town. Stickers. Art. Posters. My Facebook feed is flooded with Live Like Matt profile pictures. Your name is everywhere. You are everywhere. How can I possibly articulate what it means to live the way that you did?! To fill each and every day with adventure. To do your absolute best at all times. To make things better, not just for your own enjoyment, but for the good of the entire community. To rule from the heart, and never ever from the ego. And you managed to do all of those things with incalculable humility and grace. You made other people want to step up their game, in the best possible way. 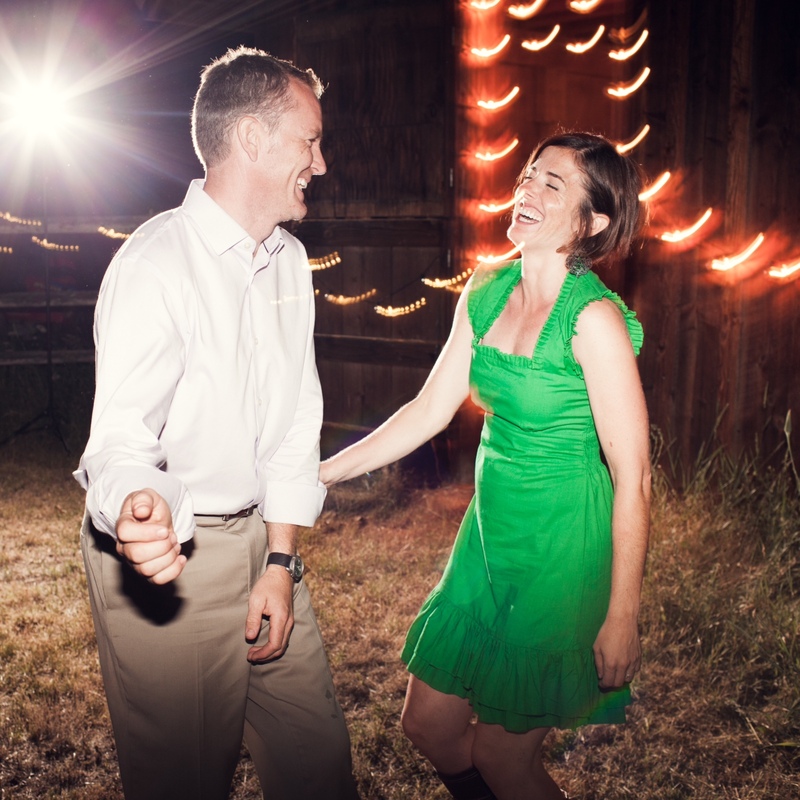 I certainly did not know that life could be so good – so full – until you came along. And while my heart breaks at the thought that we only had eight precious years together, I know that I am not the same person that I was when you showed up on my front porch that day nine years ago. We packed a lot into those short years, Moosty, more than most people do in a lifetime. Yes…you were a game changer, in every way. And I knew it from the start. I never knew I could love another human being as much as I love you. And even though this grief is as profound as that love, I would do it all again. I would still choose you. Over and over and over. Because even after all of this, you…are the best thing that ever happened to me. Being your wife has been the biggest honor of my life. There is a special place in my heart…only for you…that I will carry with me until we meet again. You are my sun and moon. Always. It’s a strange thing to know the exact moment when your life has changed forever. As I sit and write this, I am not the same person who collapsed into the loving arms of a friend 365 days ago. I’m still not entirely sure who, exactly, I am on my way to becoming….but whoever that person is, I hope that she does good things. Because I know that you would want that for me…you would want that for all of us who miss you. We will endeavor to live like you, Moosty…to Live Like Matt. Because that… is the only way. Float on, my sweet, handsome, wonderful man….I will see you again someday. 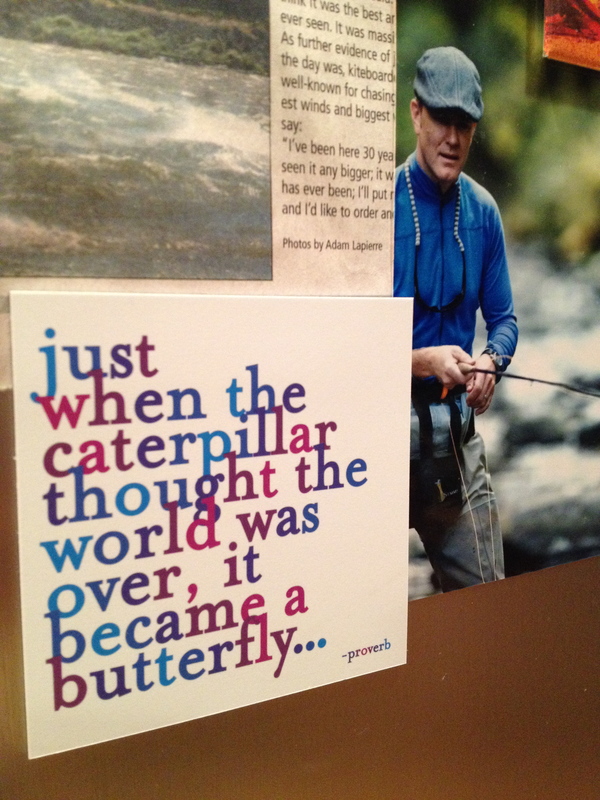 Until then, keep sending the butterflies…and know that you are loved beyond measure. ❤️❤️❤️❤️ No words…what a beautiful tribute to a beautiful man. Many lives are forever changed because of Matt. How inspiring. Time can change things, even if we never thought it possible. Beautiful, Jen. You are an amazing woman. I wish I had met Matt, but I want to be like you. WOW Jen so pure and raw. Sadness mixed with happiness. Just beautiful and so full of true love. I say live like Matt and Jen! i’m sobbing. this is a really beautiful read jen. hug. Jen, I’ve been thinking of you lately, and now I know why. Matt, your love for him, and this passage of time. Your words brought me to tears, not only for your love and loss of Matt, but for your strength and thoughts of finding your path as you go on. Please take care, and give Bear a hug for me. I have your incredible tribute bookmarked. I was so profoundly touched by it. For some reason i cant let it go. I don’t know why. I can’t remember how I found it. Every now and then I discover it again…read it…and the emotions flow just as they did the first time I read it. Thank you for sending your inspiring and loving message afloat…..
What a lovely thing to say….thank you. It means so much to me.